Sigma 17-50 preventing the D500 from going in standby in less than a full minute, with VR on during that time. Cheaper than the Nikkor, but that’s what you risk when going off-brand. Tamron 85mm not compatible with auto-fine tune. Cheaper, work well when everything is okay, but more chances that you run into incompatibilities. You pay more for quasi-certainty that it will keep on being compatible. I’m not even talking about consistency in ergonomics that is better with one brand only. Sigma isn’t even very consistent between lenses when it comes to the way you zoom out or in. Not a huge deal, but you pay less, and what you get is more effort to adapt. Whether all that is worth the difference is up to each individual buyer. Couple that with the simple fact that many will tend to not go off-brand just because of the image they think it projects... Nikon being more expensive makes sense. I hate it, but it makes sense. Nikon is doing good. A couple of firmware updates and there cameras will focus much better, I sure hope they nail eye-af. Look forward to that. The stupid 0.95 is joke to me, but the rest seems to be a good start. Most pros will not dive into this system with new lenses anyway, the have adapter and lenses all ready. I shoot with Sony but when the price on the Z6 is down I for sure will try it out. The Tamron is fine but there is to much vignetting. Its compact. Hopefully so are the new lenses Nikon is making. Yes, Nikon lenses always have been more expensive than thrid party lenses. A compact affordable lens helps to build the system. And for travelling photographer is it a big advantage. One can be sure that the image quality is outstanding. I shoot Nikon for the past 40 years, because of the lenses. 14 years ago I added a Leica Aspheric Summicron 35/2.0 with a M body to my gear because: the image quality and weight/size. This small lens produces outstanding images for sharpness and character. If the mirrorless system should be for weight/size, I don't see this yet, even a simple 35/2.0 is bigger and heavier than the Summicron. Without surpassnig the image quality. Can somebody explain that to me? Whose 35/2 are you talking about? I'd MUCH rather shoot with Nikon's 35/1.8S than the Summicron. Nikon has AF, a control ring, weather sealing, 9 aperture blades, almost 1/4 the cost, only 115g heavier and it also has aspherical elements. Plus you get 45MP and IBIS with a Z7 (which is far cheaper than any Leica M). You will get SHARPER results with a Nikon setup. If that isn't enough, no doubt CaNikSon or a third party will eventually produce a good pancake lens. BTW if I truly needed small, light and high quality, I'd shoot with an Olympus EM1ii and a 17mm. For the weight I agree with you, the size remains. Yes, I shoot the Nikkor 35/2.0 in combination with the Nikkor 85/1.8, beautifull results. The image quality and the character of the Summicron are a complete different story. Yes a M is expensive, but working with rangefinder gives access to possibilities no other system has. The refined construction makes camera almost disappear when you interact with your subject. I still use Nikon because for the qualities of the image. And for me the size of film or sensor matters, APS-C is bottom line. Even the high pixel count of small sensor is high, the larger the film/sensor, the better is the image quality (see Fuji GFX and Hasselblad X1D). Besides it is difficult with small sensors to control your depth of the field naturally. One has to use shorter lens to have have the same view. Have ever shot 6X9 cm slides? Interesting lens philosophies when looking at Nikon and Canon. Canon has decided to take full advantage of the new mount and produce pro lenses right out of the gate. Nikon has chosen the smaller, lighter, less expensive middle of the road lenses. My guess is that Canon is banking on the fact that their adapters are very good and allows existing glass to work seamlessly, so why not get right to it and produce top shelf lenses? Nikon has a terrific adapter as well, but has chosen to build less expensive lenses to get their customers into native glass quickly. Nikon believes their "middle of the road lenses" are as good or better than faster alternatives. I don't know if they're right and never will. And they may be better...right up until you need f2.8. Most of my shooting with that sort of lens is landscapes, so f2.8 isn't needed for me, but others would probably disagree. And for them, the f/2.8 and faster lenses are coming. Priorities! For sure! And there is still the 'fall back' that the existing line of Nikon's premium lenses work seamlessly with the Z series because Nikon did a good job on their adapter. The initial cash outlay is less for Nikon. I think this was quite a conscious decision. Since there are more Canon users out there and the brand recognition seems to be better, Canon can risk operating in the higher tier. Nikon is balancing their modest lineup with the Noct. In a decade, everyone will have pretty much the same mirrorless lens lineups. Nikon chose to make their new lenses 'slower' to keep costs down. Going from 1.8 to 1.4 seems small, but it costs a lot more to produce, not to mention 1.2. So 'middle of the road' is price and speed, not performance. My 'stay on my camera' lens is a Tamron 35 f1.8. 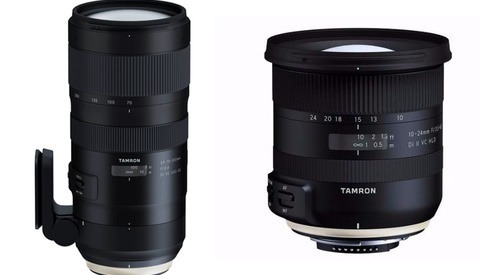 My guess is Tamron decided to make it f1.8 to save on costs. Yes but you're implying that these are not "pro" lenses, because they don't have a large aperture, whereas apparently Canon's are because they have larger apertures. In reality, both companies have manufactured pro lenses with pro performance, for different reasons. It seems that I'm not the only one. I've listened to a couple of online reviewers that are a bit disappointed in Nikon's chosen lens path so far. Look, I only pointed out that Nikon has chosen to make less expensive glass for their new mount than Canon did. I'm quite sure that the new Nikon lenses are just fine and will produce terrific, professional results. No need to get defensive. Heck, if I was starting over and knew what I know now, I'd be at Henry's ordering a D850, the best FF camera on the market. In the end, we'll find out if Canon has made a mistake producing premium lenses for a fledgling mount. My guess is that Canon will do well with their choice and I'm sure Nikon will also do well. Different strokes. "Canon has decided to take full advantage of the new mount and produce pro lenses right out of the gate. 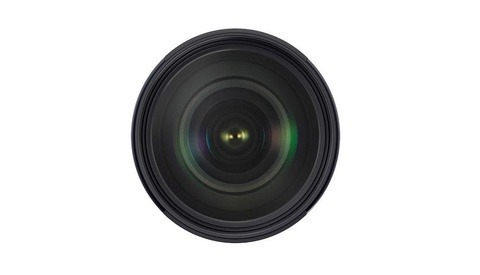 Nikon has chosen the smaller, lighter, less expensive middle of the road lenses." To me that's implying the Canons are "pro" because thet are large aperture and the Nikons are not. Looks pretty cut and dry to me. And who cares what online reviewers have to say about anything? I surrender. I said that Nikon's lenses are slower, lighter, and cheaper than Canon's, those are all facts. Take from it what you wish. You don't care about online reviewers, but I certainly struck a nerve. That was not my intention. I just pointed out facts and formed an opinion. You don't need a fast lens to do astrophotography, you need a star tracker. 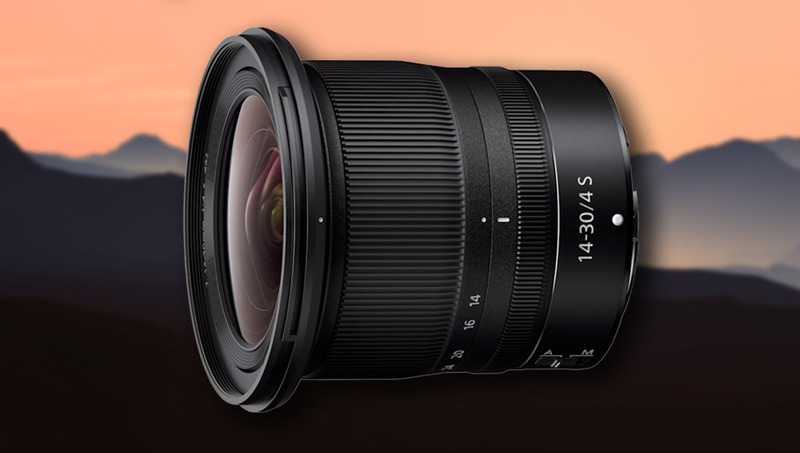 This lens is small, offers a nice focal range for landscape photograpers and can be equipped with circular filters, the downside is in its price... But I'm quite sure it will drop soon after its release on the market. A star tracker won't help for astro landscape, which this focal range would excel at. Why not? With a tracker you can take exposures as long as 3-4 minutes without noticeable star trailing. I think that such an exposure time is more than enough at f4. Tracking the stars would cause blurring in any landscape elements (astro landscape). I wouldn't use a star tracker unless I was using a longer lens for deep space objects. Ever heard about exposure blending? You take a picture of the stars (in which, as you said, the foreground will be blurred) and a picture of the foreground. In Photoshop you can blend seamlessly the sky from one picture and the foreground from the other and obtain a high quality final image. :-) I believe I heard a rumor about that. While I composite photos when necessary, it's not something I enjoy doing, preferring to "get it right in camera" and avoid additional time at the computer. In any case, I believe this lens is Nikon's answer to the 16-35 f/4 and NOT the 14-24 f/2.8. A lot of photographers, me included, use the 16-35 for its ability to easily use filters but would sometimes like to go a tad wider. I would always pick a 14-30 focal range over 16-35 for landscape. Next year, or whenever, they'll release the 14-24 f/2.8 and 20 f/1.8 which will both be significantly better for astro landscapes. You'll get far better Milky Way nebulosity with long exposures. Star tracked photos have superior colour accuracy too. There are a lot of BAD MW shots out there with ridiculous colors. I know what you mean but, as in all things photographic, you make compromises. I do, however, question the effect of long exposures on color accuracy. 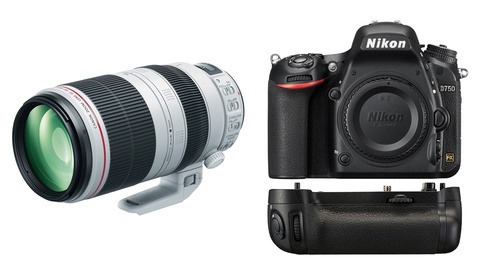 Most new releases, especially from Nikon, Canon, and Sony, are too expensive.